Khalid Taha smokes Boston Salmon. The two fighters met in a bantamweight bout at the UFC 236 from the State Farm Arena in Atlanta, Georgia. 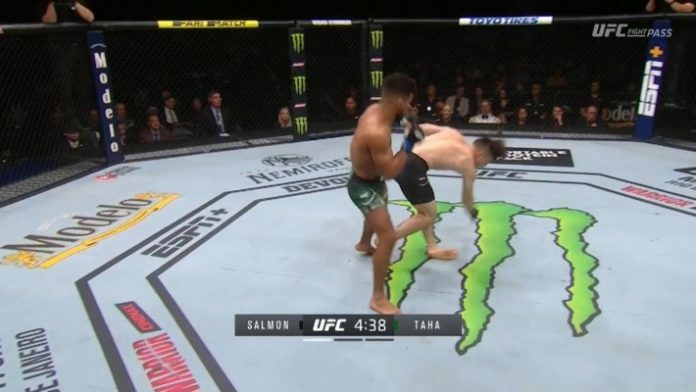 In the first round, a right hook-left hook combo from Taha absolutely smokes Salmon. Taha finished quickly after on the ground.